Named after the exaggerated facial expressions performed in a haka, this long-running children's series emphasises the energy of contemporary youth culture. 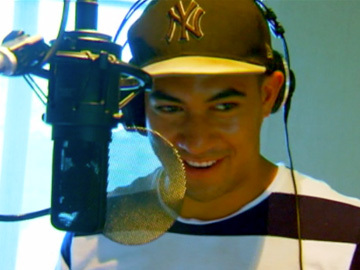 Made by company Cinco Cine, Pūkana was pioneering in Māori language programming for kids. This 2015 episode sees the crew of reporters stunt driving, skydiving, camping, kayaking, bungy jumping, and hanging out with a tarantula. The crew includes past Homai te Pakipaki champ Pikiteora Mura-Hitai, and veteran Pūkana presenter Tiara Tāwera, who is about to follow Mātai Smith and switch to directing on the show.